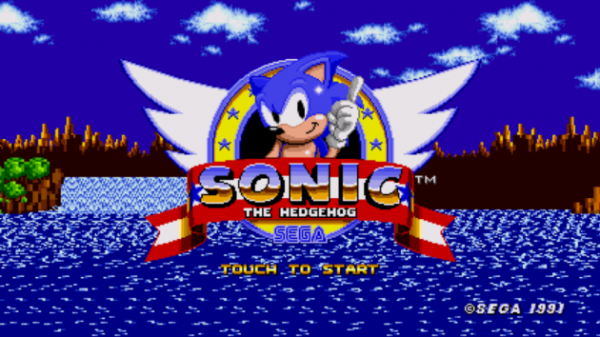 We are sure that sometime in your life you played the original Sonic the Hedgehog game released by SEGA a long time ago. We are also sure that you loved the game because, well, who didn’t. The good news is that SEGA has been able to release the game for android. Don’t expect it to be all flashy because it is the original Sonic the Hedgehog game, the game that we originally played and came to love. Of course the application is not yet available, but it should be available for us to play sometime during this month. You will have access to playing the same classic on some high-end smartphone of yours, now who would have thought this would happen. This particular game was announced a few days back at the GDC 2013. With so many features to all the new games we have available to us, the mere simplicity of the game should be awesome to many of us including the new-age people, who have no idea what we went through to get the games available now. With this, Sonic 2 is also under development, but so far no release date has been provided. This application will be priced at around $2.99 and should be available this month. You could have used a SEGA emulator on your android to play the game, but the experience would not be the same as a game designed specifically for the OS. In order to see exactly how the game will run on your favorite android device, you can follow this link. This right here is video gameplay that has now become available. For those of you in the unknown, this game originally came out around twenty years ago and for it have been re-mastered for Android should be a fun experience. Looking at the video, one can tell that the game runs perfectly smooth. The graphics are of course not something belonging to this time, but that’s the point of it all. It offers the same classic experience. Apparently, the game runs without a glitch and blazingly fast. If SEGA has actually managed to design the game based on a button-less device, the $2.99 price might not be a lot to pay for a lot of users who have played this game before. We cannot wait to get our hands on this one and hope to do a full review once the game is released. Keep your eyes out for this one.